If you are using WhatsApp for business purpose or your chats is really important for you and you don't want to lose it at any cost. 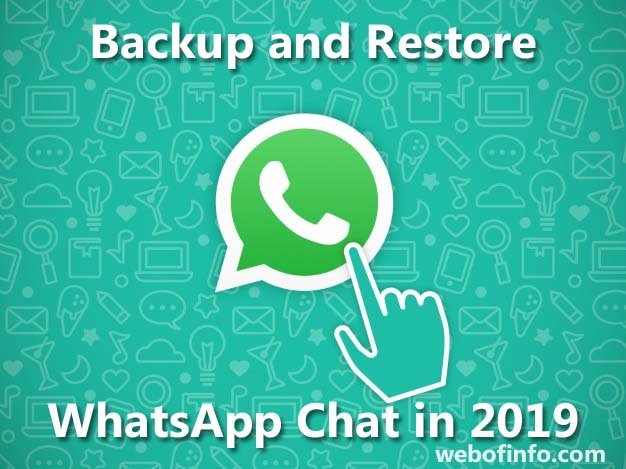 Today I am going to discuss How to Backup and Restore WhatsApp Chat History in 2019 many people know how to backup but most of the people do not know and they lost their data when they change phone or reinstall WhatsApp. So lets star without wasting the time. WhatsApp has announced that backups of conversations (Chats) which is saved on google drive and you have not used during a year will be deleted automatically. This Announcement applied on 12 November 2018. This is not good news for WhatsApp users who have a large amount of data usage. 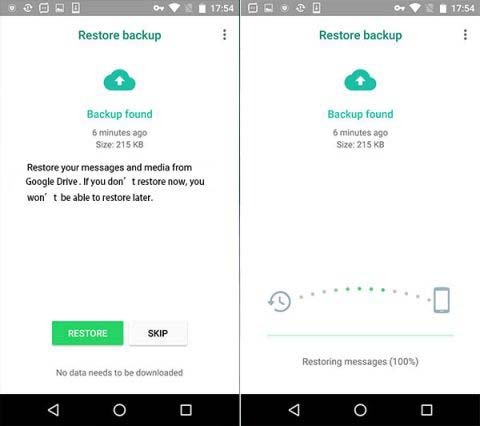 Whatsapp provides the facility of automatically backup your messages if you have allowed in settings. Whatsapp follows your settings and saves your chats on Google Drive as per your settings. You’ll see a button that says, “back up.” Clicking on it will backup your messages. WhatsApp will try to keep your backups on your SD card first if you have one. if you don’t, it will store messages in your hard drive. In case you’re using the app on an Android cell phone, you can have it save your messages to Google drive. be aware that WhatsApp does no longer use end-to-end encryption to switch your documents from your phone to Google drive. in case you want to analyze extra about the cloud storage service, take a look at out our Google drive review and our Google drive guide. 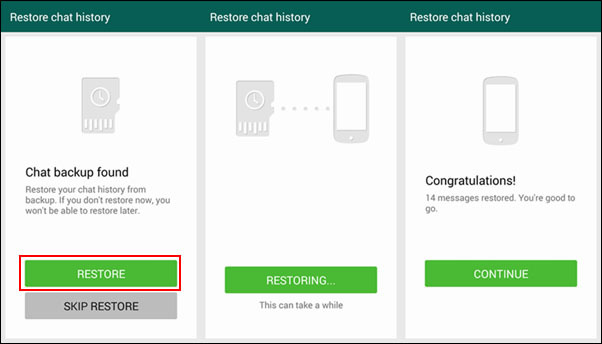 "You may also read How to recover deleted WhatsApp chat messages in android phone 2018"
To set up automated Google drive backups, you’ll have to log in for your Google account on your smartphone, have Google Play installed and have enough free space to create the backup. Select options as given in above image select Daily, Weekly or Monthly option as per your need and then press ok. WhatsApp will follow this schedule and create back up automatically. You can also choose Back Up over WiFi or Data Network or only use option Backup over only Wifi. Now Let's talk about Restoring WhatsApp Chats (conversations or Messages) for this purpose WhatsApp should be uninstalled. In case you had to uninstall WhatsApp due to some reason then this option is really useful. WhatsApp Uninstalled and then reinstall it after installation verify your mobile number. As you verified the number after that WhatsApp will display prompted to restore your Chats from Google Drive. Select or press the “Restore” Option. Identify the backup you need by the date, then change the filename to "msgstore.db.crypt12" by erasing the date data from the middle. That lets WhatsApp realize you need to reestablish from that record. The .crypt12 extension is new which is used by WhatsApp on latest versions. If you don’t update or not used Whatsapp for a period of time perhaps your are using old version so in case of old version you may be find the file as .crypt11 or .crypt10. Don’t change it to .crypt12. leave it as same as it is.